Almost every new tire on the market today claims that it’s excellent in wet conditions. Sure, thanks to recent technologies driving in the rain have never been safer, but there are still differences between the plethora of models available on the market. 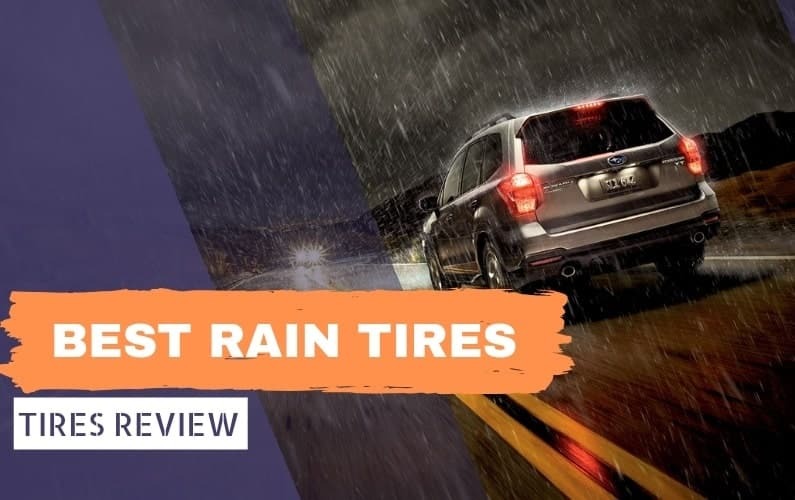 That said, choosing the right tire for rainy conditions can be very confusing – some will tell you that summer tires are better in the rain than all-season tires, while others will tell you that all-season tires are the best choice. This is not as straightforward as it sounds and I’ll try to explain it as simple as possible. Summer tires are the best choice for rainy conditions if the weather is warm – in cold weather, they quickly lose their abilities. All-season tires offer good traction in wet conditions both in warm and cold weather, while winter tires offer the best wet traction in cold weather. With all that said, let’s jump onto my Top 10 list of the best rain tires available right now. The list will include summer tires, all-season tires and winter tires so that every vehicle owner is covered. I will start off this list with an all-season tire for the simple reason that most of us live in areas with changeable weather through the year. The best tire for rainy weather in my testing is the Michelin MXV4 All-Season. 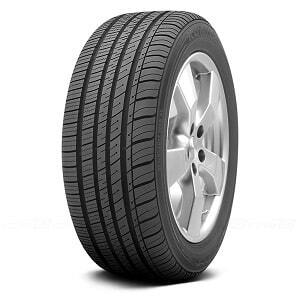 This is a touring tire, which means that other than being good in rainy weather, it will provide the driver and the passengers with low levels of noise and excellent comfort. As a matter of fact, it’s probably the most comfortable tire out there. Equipped with notched shoulders, independent intermediate blocks and continuous center ribs, the MXV4 is a real champion in the wet. In light rain, it provides the driver with an excellent level of control in the corners, short braking distances and great traction while accelerating. It is also excellent in heavy rain, resisting hydroplaning like a real champ and providing a high level of control. I know, the price of the MXV4 may be a bit high for some people, but trust me when I say, it’s absolutely worth it. The best thing about this tire is that the excellent wet traction will last through its lifetime – it is equipped with the Advanced MaxTouch Construction that helps with even treadwear and BAZ (Bended at Zero Degrees) technology with reinforced steel belts and spirally wrapped polyamide for improved strength and durability. Michelin gives 60.000-mile treadwear warranty, which is middle of the pack, but you shouldn’t worry much – this is a genuinely durable tire. In warmer climates, I find the Continental PremiumContact 6 to be in a league of its own when it comes to wet driving. This is nothing new to me, to be honest – Continental has always been the frontrunner in wet conditions and their new PremiumContact 6 summer tire is no exception. There is probably no other tire on the market that provides this level of control in the rain, albeit only at higher temperatures. This is a summer tire and shouldn’t be used at temperatures that are near freezing, dry or wet. After we’ve cleared that out, let’s start with my impressions. The PremiumContact 6 provides precise and responsive handling in wet conditions, very short stopping distances and especially good traction. With a set of this tires, you can use the power of your vehicle more liberally and apply throttle sooner when exiting a corner. It resists hydroplaning very well too, giving the driver a lot of control even in heavy rain. All in all, fantastic showing from the Continental. Where this tire falls when compared to the Michelin MXV4 is durability. Summer tires are simply not as durable as grand-touring tires, even though the PremiumContact 6 is excellent when compared to other summer tires. 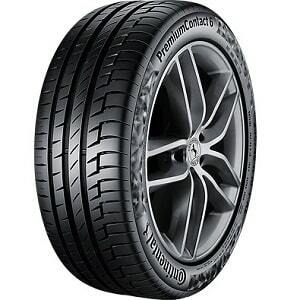 Still, for drivers of performance vehicles who want the best possible control in warm conditions, both dry and wet, I think the PremiumContact 6 is a tire worth a look. It has become almost a custom to include the Blizzak WS80 on every best tires list – it’s that good. Here we will talk about its abilities in the rain in colder conditions, where it excels when compared to other tires in its category, but we mustn’t also forget the amazing snow performance it offers. The first thing that sets the Blizzak WS80 apart from its competitors is the Hydrophilic Coating that repels water and snow from the tire, thus helping with grip, traction, and better braking. This can be really felt when driving in the rain – the tire provides precise steering input and high level of traction. The same can be said for slush and snow – in these conditions the Multicellular compound and Nano Pro-Tech keeps the tire soft and pliable despite the lower temperatures, thus providing the driver with high levels of grip and traction. Resistance to hydroplaning is also excellent – you’ll never lose control of the vehicle, even in heavy rain. Even though the Blizzak WS80 is great in cold and rainy weather, it’s out of shape when the temperature approaches warm levels. It simply lacks precision and responsiveness in warm conditions and degrades very quickly. Needless to say, use it only in cold conditions. If you’re not concerned about precise handling and performance, I recommend the Goodyear Assurance TripleTred All-Season for its great combination of qualities and especially good wet performance. The directional tread pattern certainly helps here with its three distinct tread zones for dry, wet and winter conditions, while also looking better than almost every other tire on this list. The thing that helps the most for wet driving is the Water Zone with Aquachannel grooves that help evacuate water easily. That really shows in my testing – in heavy rain, the Assurance TripleTred All-Season is up there with the best premium tires. Even at higher speeds, the vehicle will be controllable and stable, despite the heavy rain. In light rain, the performance is also admirable, especially for the class. The same features that help in the rain, also help in slush, where this tire is performing at a very high level. Dry handling is also very good for an all-season tire, with short stopping distances and high-speed stability that only the best premium all-season tires can match. The Assurance TripleTred All-Season is also very comfortable and one of the quietest tires on this test. Did I mention the 80.000-mile treadlife warranty? Yes, this tire will also last you for a while. A real winner. If you thought I will forget about drivers of SUVs and Pickup Trucks, you’d be wrong. If you’re into a mix of highway and all-terrain driving and want the best possible wet traction, I recommend the BF Goodrich All-Terrain T/A KO2. These tires are extremely popular with the SUV crowd and for a reason – they are amazing in almost every driving scenario. Of course, you shouldn’t expect performance on the road on the level of summer or all-season tires, but for an all-terrain tire, it’s hard to find a better one. I especially like the balanced combination of dry and wet traction on pavement, but also the amazing traction in off-road driving in the rain, like for example in the mud. Despite not being made for snow driving, it can even tackle some light snow with ease. All of this is achieved with the combination of interlocking tread blocks, loose object ejection, and Sidewall armor put together by a computer-optimized design. 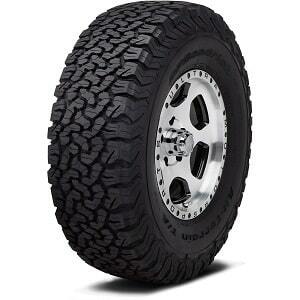 This is a tire that can seemingly do everything and deserves a place on every SUV and Pickup Truck. The price is also lower than some premium offerings, and the manufacturer gives 50.000-mile treadlife warranty – not too shabby for an all-terrain tire. You may think that I can’t get enough of high-performance tires, and you’d be right! The Dunlop Sport Maxx RT2 is certainly one of my favorites, especially in wet conditions, where it’s one of the best tires, period. Of course, it is unusable in cold conditions, but for driving in warmer climates, it is a real winner. This tire is simply unstoppable in the rain, light or heavy. Handling is extremely precise and responsive – most drivers won’t even notice the difference between dry and wet handling. High-speed stability is also excellent, and stopping distances are one of the shortest around. The Sport Maxx RT2 is especially good in heavy rain, where it resists hydroplaning without breaking a sweat. Seriously, if you want a tire that’s fantastic in wet conditions then this is the one. The reason it sits lower on this list is that it’s a bit worse than the Continental PremiumContact 6 in dry conditions. It is not bad, don’t get me wrong – handling is excellent and the tire doesn’t lack any precision, but stopping distances are a bit longer. Still, this is not a big deal – performance will still be better than any other all-season tire out there, both in dry and wet conditions. The only thing you really lose is winter traction, but that’s the case with every summer tire. You can accuse me of a Michelin fan (I am really not), but their tires are quite simply always at the top. The Premier A/S, for example, is their grand-touring all-season offering, which is one of the best touring tires in the rain, period. The best thing about the Premier is that it keeps its performance intact even after thousands of miles driven. See, a lot of tires lose their abilities in wet conditions due to tread wear. The Premier A/S has unique water channels that get wider the more you drive them, or in other words, they will still resist hydroplaning like a champ. I am a big fan of how the Premier A/S drives in wet conditions. It handles very well, it is responsive, stable and resists hydroplaning in heavy rain like the best tires out there. Dry performance is also excellent for a grand-touring tire, while comfort is probably above everything else in the tire industry – potholes will never be felt and highway driving will be whisper quiet. Durability is also not a concern – Michelin gives 60.000-mile treadlife warranty, which is nothing special, but the tire is still a very durable one. The reason the Premier A/S is lower on this list is the price, which is one of the highest of any tire in its category. 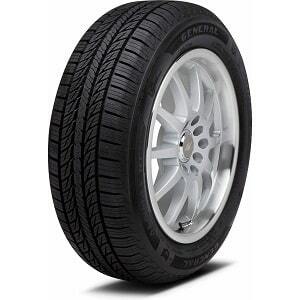 If you’re on a budget, read on about the General Tire AltiMAX RT43. 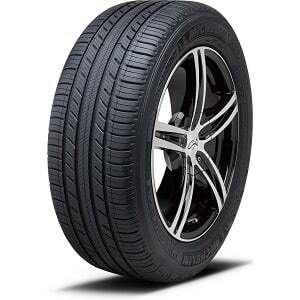 General Tire is known for producing good quality tires at a lower price point than premium competitors. 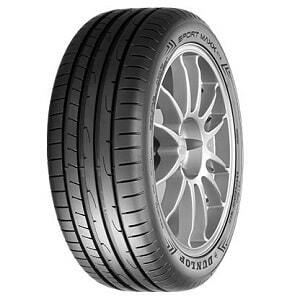 Their AltiMAX RT43 model is a very popular tire for drivers in the compact and midsize segment due to low cost, durability and good traction, both in dry and wet weather. 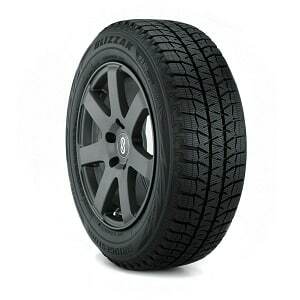 The AltiMAX RT43 is equipped with Twin Cushion Silica Tread Compound that gives the tire all-season traction and smooth ride. 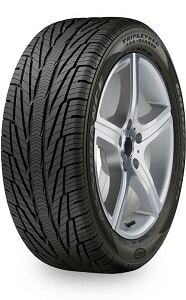 I can confirm the former one – the AltiMAX RT43 is quiet and smooth, up there with the best grand-touring tires. All-season traction is there as well – performance on dry pavement is good, albeit far from the level of summer tires. Wet traction is excellent for the class – handling is acceptable, resistance to hydroplaning is great and braking distances are short. For the price, you can’t find a tire that’s better in the wet than this one. However, don’t for a second think that you can use it in the snow – it doesn’t provide enough traction in those circumstances. 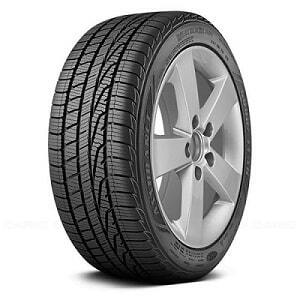 The best thing about the General Tire AltiMAX RT43 is durability. The Low Surface Abrasion Technology construction reduces distortion and surface abrasion, thus promoting extended treadlife. The 75.000-mile warranty is also unbeatable in the segment – you will forget when was the last time that you changed your tires. 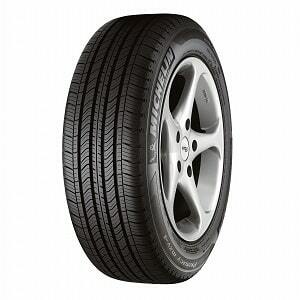 Unusual for a high-performance tire, the Advan Sport AS is labelled as an all-season one. Despite that, it still offers great performance in dry conditions, and especially in wet conditions. I find it to be a perfectly good tire for owners of sports cars, sports sedans and even some more powerful SUVs. It is also cheaper than other premium offerings, especially if you go for a larger size. 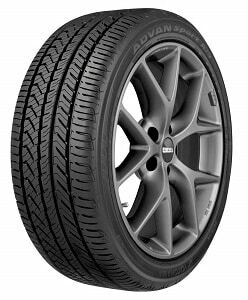 The Advan Sport AS is made out of advanced polymers that keep the tire strong in the summer for more poised handling, and pliable and soft in freezing temperatures for superior wet and winter grip. The asymmetric tread pattern helps in both dry and wet conditions, and even in snow. In my testing, this tire is perfectly capable of tackling light snow with ease, probably due to the advanced compound. I really like the precision and responsiveness it offers, as well as the short stopping distances. In heavy rain, it resists hydroplaning like the best tires out there and keeps the vehicle stable. Durability is also great for a high-performance tire, but you shouldn’t expect it to last as long as touring tires. Still, for the price, this is absolutely one of the best tires out there in almost every category other than winter driving. Let’s round off this list with a budget offering from Kumho because not everyone wants to spend a fortune on a new set of tires. The Ecsta LX Platinum is a grand-touring all-season tire that’s known for comfort, quietness and durability, almost at the level of premium tires. But, we are here to talk about wet performance and I can happily inform that the Ecsta LX Platinum performs admirably in those conditions as well. Okay, it’s not the best wet tire, but when you consider the price you pay, there is no other offering that can compare to the Kumho. It is especially good in heavy rain, where it resists hydroplaning very well, but it is controllable and responsive in light rain as well. It has also a very durable tread, which means that rain performance will be intact even after thousands of miles driven. Kumho offers 50.000-mile treadlife warranty, which is also acceptable for the price. The best thing about this tire is that it combines good wet performance with admirable handling and traction in dry conditions and high levels of comfort and quietness. If you own an older vehicle or have a tighter budget for buying a new set of tires, you’ll find the Kumho Ecsta LX Platinum perfectly fine in almost every condition you encounter. Which type of tires is best in the rain? Overall, summer tires are the best choice in both light and heavy rain, but only when the climate is warmer like in spring or summer. When the weather gets colder, closer to freezing temperatures, you might want all-season tires or even winter tires for wet driving scenarios. The reason why summer tires are worse in colder climates is that they become too stiff, which results in a loss of traction. On the other hand, all-season tires are made to be good in both cold and warm weather. In other words, they offer acceptable performance in both warm and cold wet conditions, but not at the level of summer tires in warm weather or winter tires in cold weather. Always choose tires according to the weather in the area you live in to get the best possible performance. Does wet traction get worse over time? You bet it does. As the tires get worn out, the tread gets shallower and the tire loses the ability to repel water. In light rain, you may not notice a big difference at first, but as the time goes by even in that conditions you may lose control of your vehicle sooner. Heavy rain and hydroplaning are an even bigger obstacle for worn-out tires. If you live in areas with heavy rains throughout the year, I recommend changing the tires sooner than suggested otherwise for safer driving. Should I use winter tires if it only rains in the winter? If you live in an area where it rains in the winter, and there is not a lot of snow, you may be okay with a good set of all-season tires. That said, I still recommend winter tires because they offer much better handling and stability in colder weather, especially when it’s raining. They are also much better when it rains and the temperatures fall below freezing. Can I drive in the rain as fast as in dry conditions? Generally, if you follow the speed limits on the road, you should be fine in both dry and wet conditions. That said, if there’s heavy rain you should drive much slower. Even if you have the best wet tires installed on your vehicle, you’ll get much less grip and traction, and stopping distances will be twice as long. You can also lose grip immediately in the wet, opposed to a progressive loss in dry conditions. For safer driving, I recommend lower speeds whenever it rains. I hope that my Top 10 list of best wet tires will help you the next time you purchase a set for your vehicle. In that list, you can find both premium and more budget-oriented options, but the cheapest tires on the market are not included. There’s a reason for that – they simply don’t offer good wet traction, handling and stopping power, and should be avoided if you care about the safety of your passengers. Other than that, always rotate your tires every 5.000-8.000 miles, so you can be sure that treadwear will be even and wet performance will be good both on the front and rear axles.